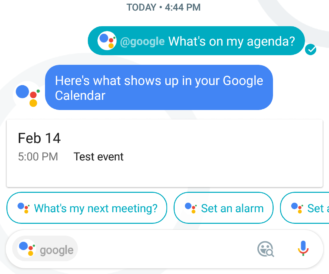 Google Assistant in Allo isn't quite as feature-packed as Assistant on other platforms, but it's still one of Allo's most compelling features. It can quickly perform a web search, tell a joke, set reminders, and more - all by just tagging it in the middle of conversations. 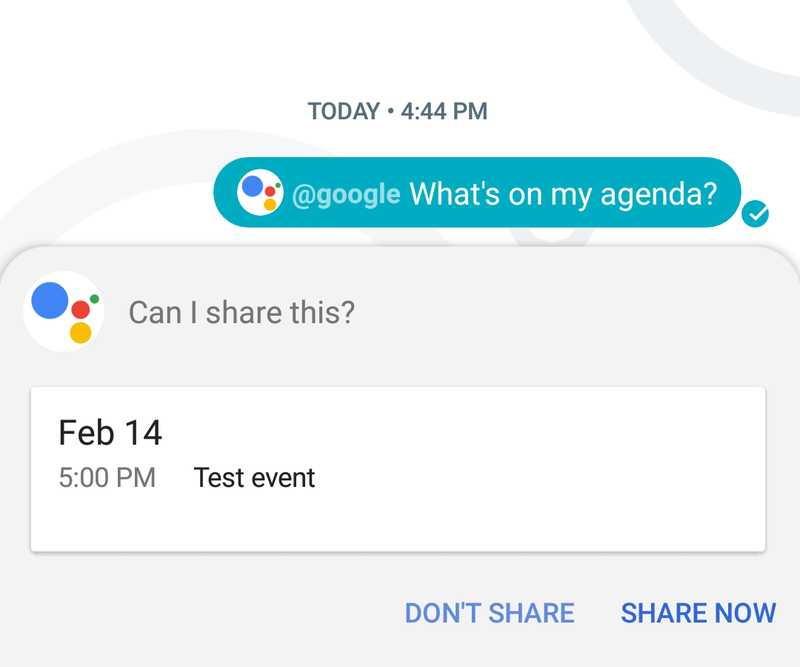 Google has added a new trick to Assistant on Allo - it can share your personal data, if you grant it permission. 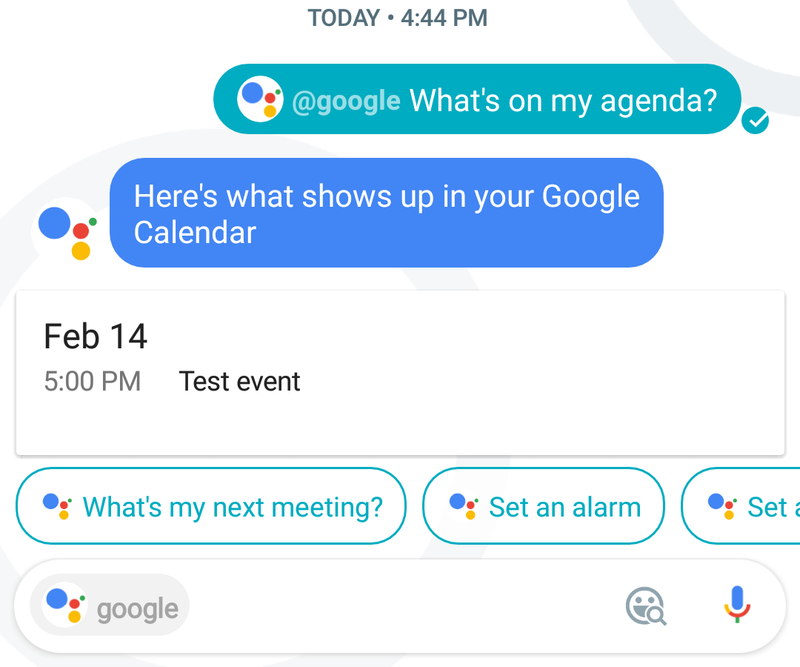 You can ask Assistant for upcoming calendar events, your flights, or a contact, and Assistant will try to find it. If successful, it will show you the information and ask for permission to share it. If you press 'Share Now,' the data will be sent to whatever chat you're in. This is actually really useful for a number of reasons. Maybe you want to share someone's phone number to a friend - and instead of searching through your contacts and copying the number, you simply give Assistant the full name. Or if you're discussing vacation plans in a group, you can easily share hotel reservations. 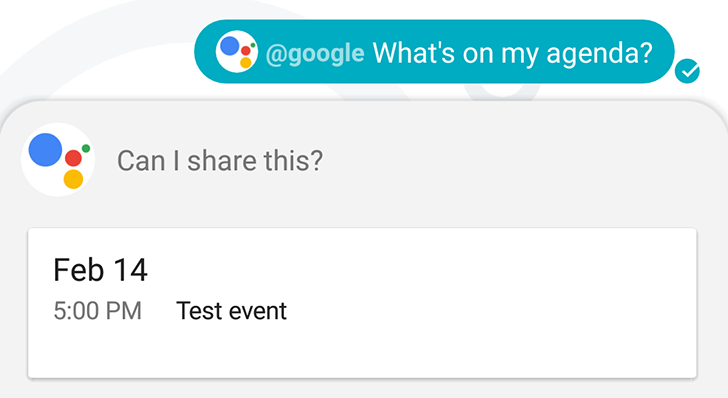 This was a server-side change that only activated recently, and you probably need Allo 6.0 for it to work.